The Frankfurt Book Fair is the largest literary event in the world. Each year there is a country of focus and this year it was New Zealand. 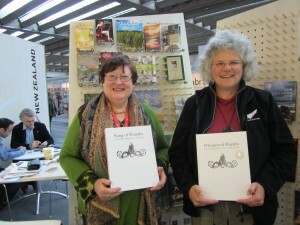 Jenny Haworth of Wily Publishing, Christchurch chose 12 books specifically from Canterbury to show at this prestigous fair. With the focus on New Zealand at the Frankfurt Book Fair this has generated record breaking rights sales for New Zealand writers and publishers. 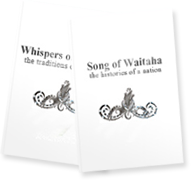 And so Song of Waitaha: Histories of a Nation and Whispers of Waitaha: Traditions of a Nation featured and was the most popular on the stand. We are very proud of this as it had always been the dream for the books to attend this fair. 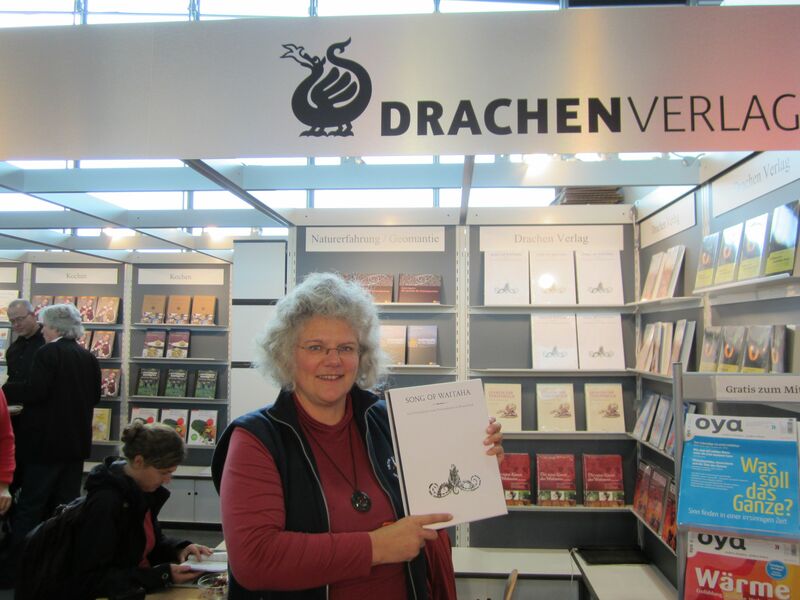 Interestingly the German translation of Song of Waitaha was also there with Drachan Verlag publishing house of Germany. 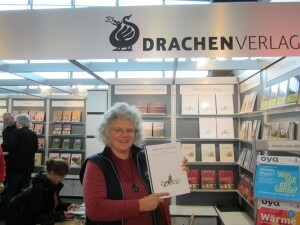 Here are photos of the books at the Frankfurt Book Fair 2012. Jenny Haworth is wearing green and the other woman is Astrid Reis who is one of our friends in Germany. The sheer beauty,scale and scope of “Song of Waitaha: Histories of a Nation” and “Whispers of a Nation” is breathtaking and mindboggling. My thanks to a generous and benevolent peoples your aroha is limitless!Kia ora!